Our Current Season Exhibit – will be on display in the John H. Allen Gallery (29 Sep 2017 - 19 May 2018). The exhibit tells the untold story of African Americans who have served in the nation’s military since the Revolutionary War. The exhibit covers the Civil War, Spanish American War, World War I and II, the Korean War, the Vietnam War, the Cold War period, and the current Iraq War. Although the door to trade and cooperation may now be closed between the United States and Cuba, there are almost 500 years of history between the two countries. Beginning with Juan Ponce de Leon’s settlement expedition in 1521, the countries have been linked. In the 1600s, trade relations between southwest Florida and Cuba began and continued well into the 19th Century, but Cuba’s cultural influences exist to this day. “Milestone Memories” Riley House Museum traveling exhibits - click here to read the pamphlet. First Crusade occurred during and immediately after the Civil War. Second Crusade which occurred from 1900 to 1930. Third Crusade for secondary education for African American students. Fourth Crusade focused on the efforts of African American parents to desegregate schools. This exhibit chronicles the major events, personalities, and organizations that engaged in the African American struggle for freedom at the national, state, and local levels during the 1950’s and 1960’s. The Seminoles are a major part of Florida and United States history, yet we know very little about them or the circumstances which brought them to the Everglades. We are equally unaware of the African maroons, who formed an alliance with the Seminoles to fight for their mutual interests. This exhibit examined this alliance and these peoples who fought gallantly to preserve their freedom, land, and way of life. The story of the Southern Underground Railroad remains untold and replaced by myth. This exhibit told the story of the first freedom fighters of the North American continent; their courage, their alliance with Native Americans, the freedom they sought, the new identities they created, and the battles in which they engaged to preserve their freedom. Exhibit explores another aspect of “untold” history. One of the most overlooked chapters of the Civil War is the story of African American spies. Learn about the famous “Black Dispatches”, information supplied by runaways and “spies in place” that was crucial to the Union Army victory. The forces and conditions which led to the emancipation of the enslaved will be examined. This exhibit refutes the myth of African Americans as passive recipients of freedom, and affirms their active role in achieving their own freedom. Reconstruction (1865-1877) refers to the period following the Civil War when the seceded states were restored to the Union and the freedmen were integrated into American society. This exhibit provided an overview of the key personalities and events marking Reconstruction in general, with a focus on Reconstruction in the State of Florida. 2016/2017 "The Jim Crow Era: Punta Gorda, Florida 1885 - 1965"
The institution of Jim Crow highlighted the lives of blacks and whites in Punta Gorda from 1885 to 1965. 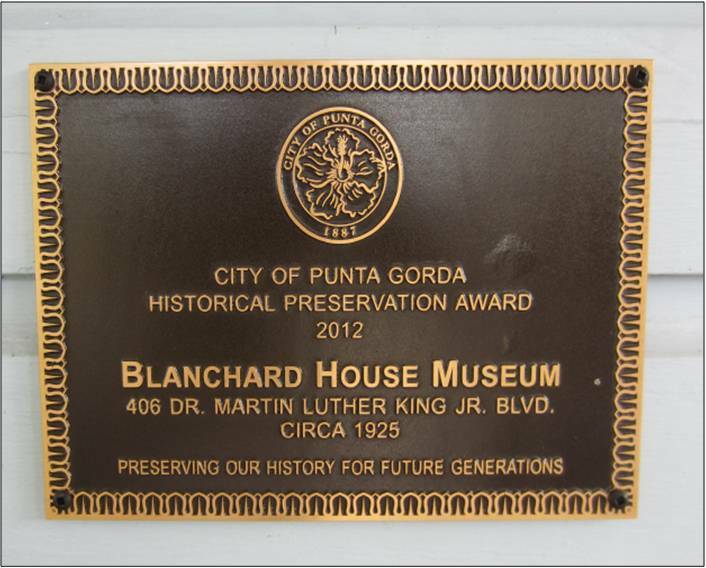 This focus is necessary because of the unique beginning of Punta Gorda and the ways in which the doctrine of Jim Crow was both followed and ignored throughout the era. The centerpiece for the memorial garden is a bronze bust of local born; Lieutenant Charles P. Bailey. He served during World War II as a member of the famed, Tuskegee Airman. The veteran bricks in the walkway were a fundraiser for the Military Garden project and include veterans from the Civil War to the Iraq War. The garden was dedicated on 4 March, 2008. 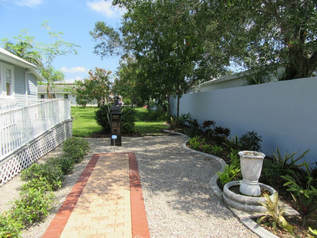 The flower garden was made possible by the generous donation and work of the Punta Gorda Garden Club. Click here to view the Garden Dedication Program. Would you like to honor a veteran with an engraved brick paver? Click here to download a paver order form.